There's no shortage of highlights at this year's Edinburgh International Festival (read about the full programme). 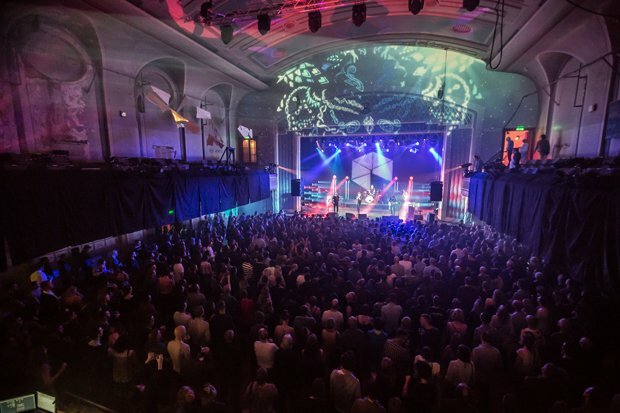 But 2018's most exciting announcement is that, for the first time in 30 years, the EIF will head back to Leith Theatre – the gorgeous concert venue on Ferry Road that's recently discovered a new lease of life. Thanks to the tireless efforts of Leith Theatre Trust, the 1400-capacity venue – which until 2017 had lain dormant and rotting since the late 1980s – has recently attracted funding from the City of Edinburgh Council and the Scottish Government, and last year was brought to life in stunning form by grassroots festival Hidden Door (which returns there this year). This summer, it gets an even more official stamp of cultural approval in the form of Light on the Shore, a celebration of Scottish music at the EIF in collaboration with the National Museum of Scotland's upcoming exhibition Rip It Up: The Story of Scottish Pop. From Thu 9–Sat 25 Aug, the International Festival will host a series of gigs and nights featuring some of the most influential Scottish musicians of the last few decades. Full details will be announced on 2 May, but there'll be gigs from King Creosote, Mogwai, Karine Polwart and Django Django; nights curated by Hidden Door, Lau (with Joan as Policewoman), Neu! Reekie! (featuring the Vaselines and the Pastels) and Celtic Connections (with Le Vent du Nord and Julie Fowlis); and orchestral performances of seminal albums, including Anna Meredith and the Southbank Sinfonia performing her epic debut Varmints, s t a r g a z e ensemble performing Boards of Canada's EP Hi Scores and The GRIT Orchestra's celebration of Martyn Bennett, Bothy Culture and Beyond. So, are we witnessing the rebirth of the best music venue in Scotland? 'I think,' Linehan suggests, 'next to the Barrowlands, maybe the best one?' We concur. Stay tuned for more details and tickets for Light on the Shore on Wed 2 May. The Edinburgh International Festival takes place from Fri 3–Mon 27 Aug. Rip It Up: The Story of Scottish Pop is at the National Museum of Scotland, Edinburgh, Fri 22 Jun–Sun 25 Nov.